Many regard furniture as a fashion item and make regular changes as trends evolve. We constantly review our ranges but we also aim to provide ranges that will stand the test of time. With this in mind, everything has a manufacturers guarantee. Guarantees can vary from 12 months to 10 years! If the guarantee is longer than 12 months an icon is usually shown on the product pages. More details are available on request, just click here for information on a specific range. In the meantime, here are a few tips to help you preserve the beauty of your investment. 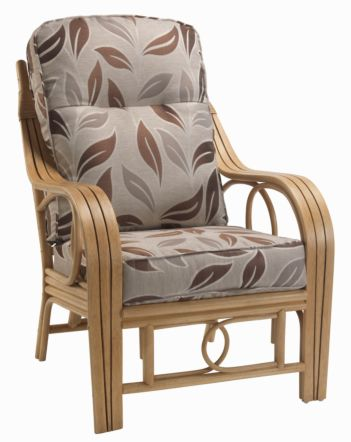 "Cane furniture is the ONLY type of furniture that will truly stand the test of time in a glazed environment"
Cane, rattan and wicker are all terms used to describe the same thing. It is a natural product grown in South East Asia in tremendous heat and intense humidity. This instils inherent qualities rendering it capable of withstanding the inevitable fluctuations in temperature and humidity in any conservatory or orangery. It is the only type of furniture that should be used in a glazed environment. It is simple to maintain. 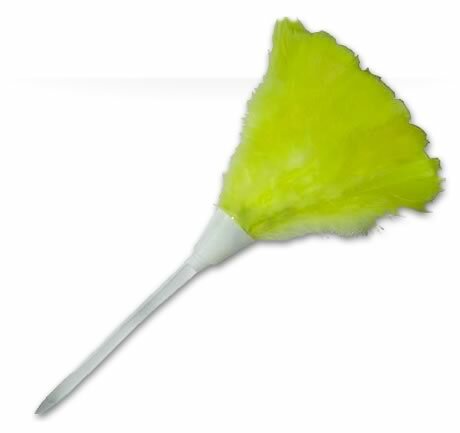 A vacuum will remove any gatherings of dust and a wipe with soapy water will wash basic stains away. Any standard furniture polish will enhance its appearance. Anything under direct sunlight will fade. This process can only be prolonged, not stopped altogether. Conservatory blinds help slow the fading process and we recommend moving the furniture around the room if possible. The cushions are designed so that in almost all cases they can be turned over. We recommend dry cleaning the cushions unless the fabric is officially machine washable but we do offer a stain guard option in store. 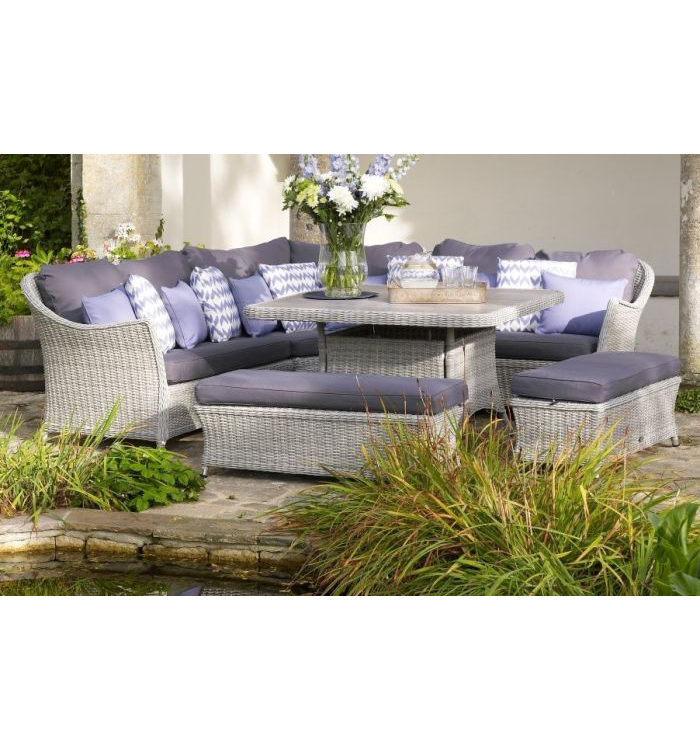 Our rattan garden furniture range is almost maintenance free. To maintain a like-new appearance we recommend washing the frames down with soapy water or indeed a pressure washer to remove mildew or basic food and drink stains. That's the only maintenance required. The frames are all UV tested so will not fade in direct sunlight and the cushions are shower proof so they can be left outside. They can also be unzipped and washed on a low heat in the washing machine. We also sell custom made garden furniture covers, made to order in any size or shape. These are not absolutely necessary but can only help preserve the appearance of the furniture if they are used to protect it during the winter months. Please smooth and dry off the areas of concern and then concentrate the touch up spray paint onto any exposed area of aluminium. Please note that undulating surfaces and indentations are also quite regular features of our cast aluminium range. 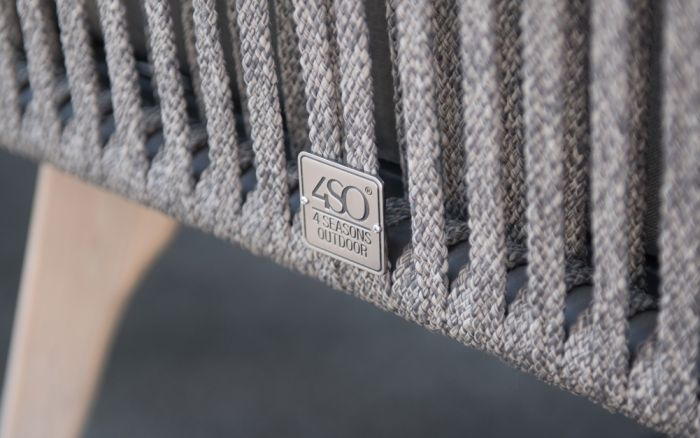 This is a result of the fact that we prefer to manufacture in smaller quantities using the hand-made ‘sand casting’ method rather than the mass produced furniture created from a machine driven mould. Tables and chairs will never be perfect, but our customers do appreciate the hand-made characteristics that distinguishes our products from larger volume equivalents. Our reclaimed teak furniture has a wonderful rustic appeal. Having been carefully decommissioned from its previous life, perhaps as flooring, a supporting beam or other infrastructure, each piece offers unique character. Splits, knots, in fills and other inconsistencies only enhance the appeal of each item and as it is already decades old, it is sure to stand the test of time. Annual treatment is not necessary and left to its own devices will continue to mellow in its old age. "If you care for your furniture, you will enjoy it for many years to come..."